120 Volts / 1,500 Watts / 5,118 BTU. Patented Flame technology. Requires no piping or venting. Flame operates with or without heat for year round enjoyment. Dimplex fireplace logs are hand crafted and molded from real wood logs, offering an incredibly realistic log set. RV compatible. 1 Yr Manufacturer’s Warranty. The 26″ electric firebox is 120 volts with a floating LED display pertaining to temperature settings and specialty functions such as sleep timer and 7 color themes. The pulsating embers glow from inside the realistic, meticulously handcrafted logs. 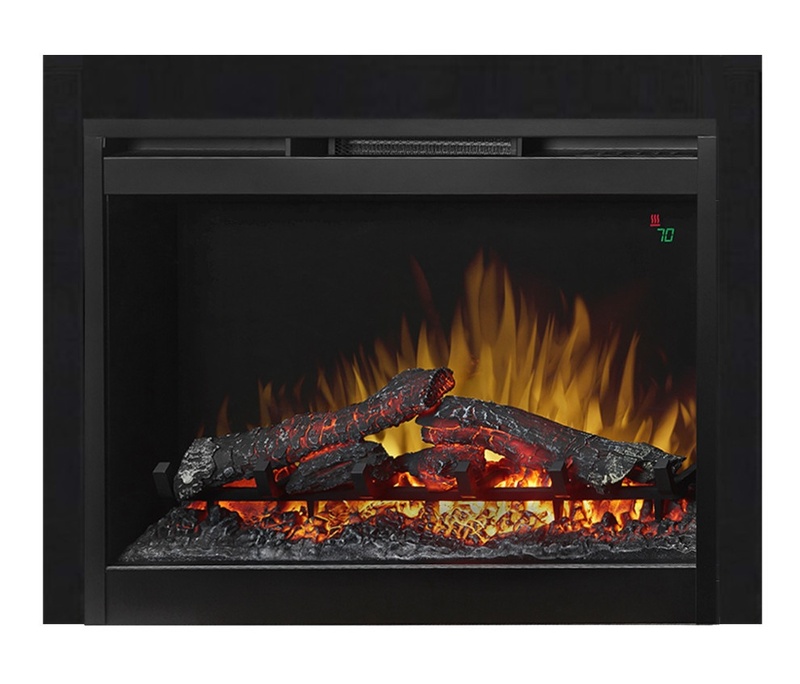 With safe, ceramic heat, enjoy the firebox with or without flame for warming spaces up to 400 sq.ft.